One of the most down to earth artists you'll meet in the industry today, it's not cliche to say Luke Fair is "all about the music." Never one to be flashy or over the top, Luke has preferred to let his tunes define his career. By doing so he's quietly become a global hero to his devoted fans and upstart DJs and producers who yearn for the soul and energy the Luke Fair sound provides. Anchored by classic house roots, Luke has always stayed true to his style of groovy house and techno to funky progressive and electro. He continues to spend countless hours customizing tracks and will forever be a DJ who earns the attention of the dance floor through focus and dedication inside the booth and out. On his way to headline status, Luke took cues from the likes of Sasha, John Digweed and Deep Dish while touring across the globe in support of their legendary efforts. It was throughout these times when Luke was warming massive rooms, in front of thousands of overly eager clubbers, that he inherited the skill and patience needed to properly program a night. To this day it's his ability to create surreal moments through tight mixing and calculated track selection that amazes enthusiasts the most. Now with three major compilations to his credit ('In House We Trust 3' alongside Desyn Masiello on Yoshitoshi, 'OS_0.3' on Bedrock and 'Balance 011' on EQ Recordings), Luke still finds much love in releasing a constant flow of timeless promo and live mixes. The underground community anxiously awaits the next Luke Fair download knowing it will always be constructed with the utmost care and precision. Luke's consistency and willingness to showcase his music for all to indulge has enhanced his status worldwide, providing gig opportunities in some of the planet's most exotic cities, such as Beirut, Casablanca, Bali, throughout Australia, as well as his beloved South America. He’s been top of the bill for events at Womb, Cielo, Pacha, Stereo and Ministry of Sound and has been featured alongside the industry's finest at Creamfields, Global Gathering and Miami's Winter Music Conference. Not to be outdone is Luke's body of production work. 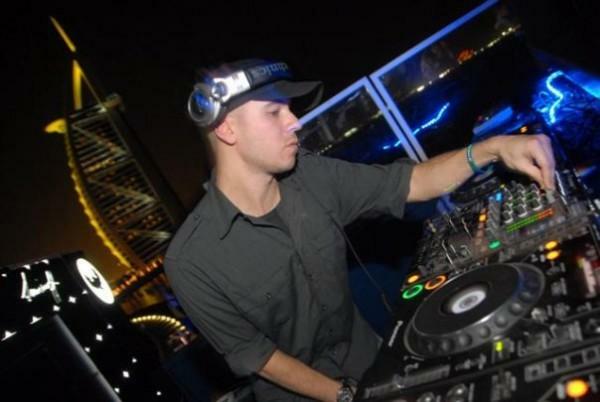 He has established himself as one of the industry's top all around artists with originals and remixes signed to some of EDM's most recognized labels, including Bedrock, Yoshitoshi, SAW, System Recordings and Low Pressings, as well as quality underground imprints such as Witty Tunes, Alternative Route, Discoteca and Thug Records. Eternally on the house tip, with lush melody, Luke's tracks withstand the test of time. Future aquatic inspired releases 'Kanpachi', 'Barracuda', 'Grouper', 'Starfish' and 'Ziege' will be no different, storming dance floors across the globe in the coming months. Rounding out Luke's resume is his partnership with Dana Bergquist, Tom Morgan, balErik and Somnus Corp in Discoteca Music; a collective operating the digital label, a program on friskyRadio and event promotions worldwide. On the horizon is Luke's newest endeavor 'The Rogue Show' alongside Hungary's Add2Basket, with publicity support from bringthebeats and creative direction from Chicago's Jason Warth. Both projects mandated to preserve the underground for what it is and always will be for Luke Fair, "all about the music." All times are GMT -4. The time now is 08:07:26 AM.